The school summer holidays are well underway and I bet all the families out there are looking for some adventures to have in this wonderful warm weather – well, the Winner of Leicestershire’s Best Visitor Attraction, Wistow Maze, is waiting to be discovered! The Maze is only open for 8 to 10 weeks in the Summer providing children and families with plenty of healthy outdoor challenges and fun for all ages. 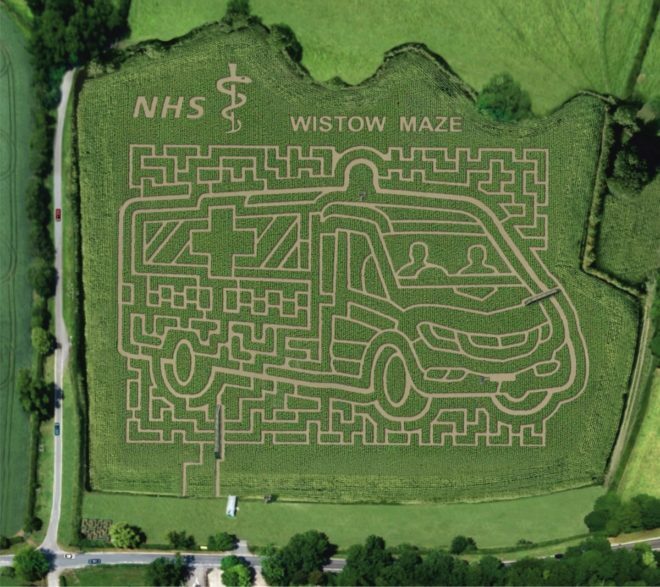 Wistow Maze is one of the largest mazes in the country, with over 8 acres of sunflower crop and growing maize in an ambulance shaped design celebrating the 70th anniversary of the NHS, it’s a fantastic nature-filled day out to train your brain and get you moving. Along the trails, the trick is to find all 12 quiz boards hidden within the winding maze. If you’ve found your way, there’s even more fun to be had at the activity fun yard – a place to put your puzzle solving to the test! When you arrive, parking is always free, and there’s no booking needed, you can just turn up on the day and pay £6.96 per adult, and £5.95 per child (13 & under). Or, you can purchase the value family ticket for £24.00, including two adults and two children. The Wistow land dates all the way back to 849 AD and in the 1600’s the land was bought by the Halfords, the most prominent Royalists in the area. Fast forward to the 1800’s and Sir Henry Halford, who lived at Wistowe, was a physician to George III, attending to all princesses and royal dukes at that time. Not only was he their physician, but their friend. During the great war, Wistow Hall was made available from 1914 to 1919 as a hospital for the wounded, with over 450 patients. After barely surviving the blitz in 1958, the house was restored and modernised into a number of flats. Now, it stands as Wistow Rural Hall with the garden centre, cafe/bistro, farm shop, furniture and craft outlets, art gallery and pet accessory shop and extends a warm welcome to visitors from far and wide. 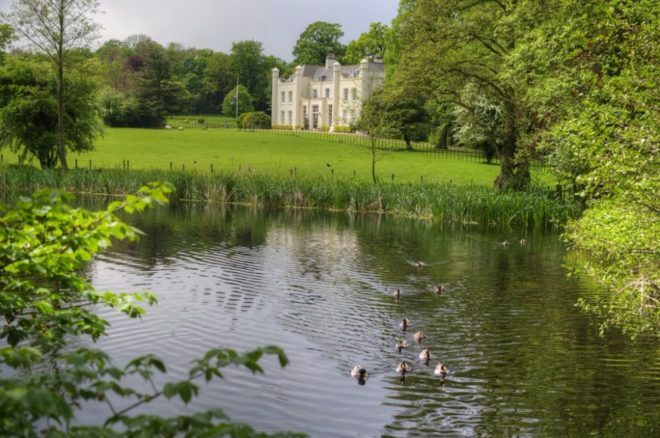 In recent years, a charity concert has been held in the parkland to the east of Wistow Hall. It’s a vibrant place, full of history and built on a small community, alongside a family name that will stand for many more years to come. You are welcome to come and enjoy its delights, whilst always respecting the privacy of local inhabitants, and the farmers’ animals and crops! Wistow has plenty to offer you and your family this summer, like the Cafe Bistro. Delicious home-made snacks and meals are served daily with the option to eat outside or in! The Ken Bailey Garden Centre has a wonderful selection of plants and wildlife, the perfect place to pick up some garden accessories to have your own backyard looking beautiful. 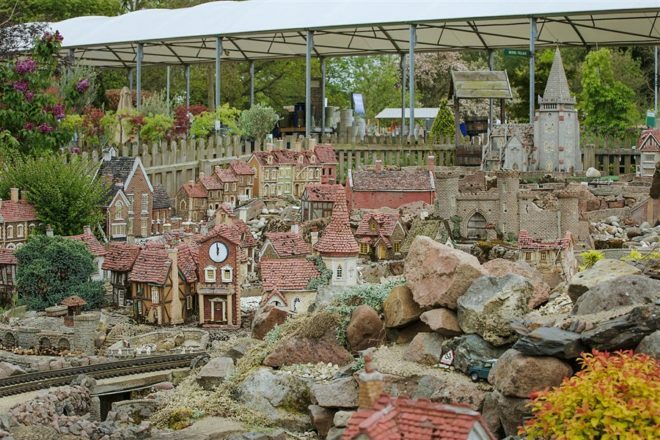 With Free entry, the Rural Centre is also home to the Model Village, a fantastic attraction set in a scenic walled garden with over 75 handcrafted buildings, all donations visitors make go to charity. You can also visit the Wistow Gallery, full of local artists paintings, prints ceramic, glass textiles and more, on offer to purchase on the day! If you want to see what more Wistow has to offer, visit their website here for the complete list of tourist attractions you can see this summer, including the Porcupine Furniture Company, Outerspace Gift Shop and the Mediterranean Deli.